You are on one of the oldest websites specializing in the display and sale of Castles, Manors and Manor house. 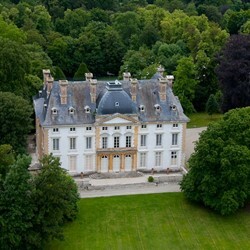 France Chateaux © specializes in the provision of services and trade related to the luxury real estate. For many years, France Chateaux © helps the transmission and the sustainability of the French heritage. The many successful transactions, show your confidence. We try to select only real estate listings for quality and we offer you on this site. And do not forget to visit our other sites: Mansions and Villas Villas, for old and contemporary villas houses Seaview Sea-View.xyz for the face to the sea and the invest in the sun for real pleasure and investment abroad. South Finistery. Castel by the sea. Finistère-South. Magnificent domain about 53 hectares in 7 km of the sea. The property, besides the areaof its lands, includes a castle completely renewed about 750M2, built in 1855, a XVth manor house about 160M2, a chapel with stained glasses signed by Jean-Pierre Le Bihan and fitted out and independent dovecote about 75M2. The high-quality, authentic property, in the passionante history. Sector Quimper. Property of exception a few minutes away from the city center.